+ Blueberry Mint - A cooling blend of organic black & mint tea complete with a touch of organic blueberry juice. 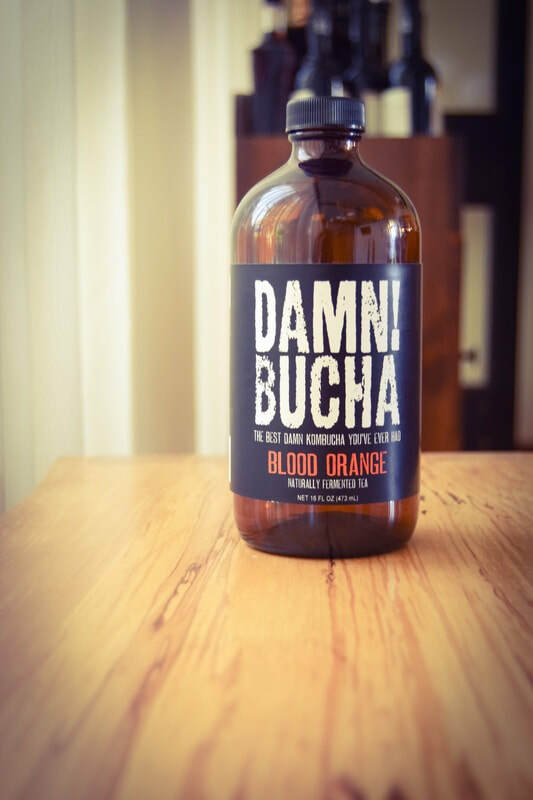 + Blood Orange - The fresh flavor of a tart blood orange and notes of rind peel. Serve this by itself or mixed with a wheat beer for the perfect combination. + Berry Melee - A refreshing blend of organic raspberry, strawberry, boysenberry, blackberry and apple to create an excellent union of flavor. + Dry Hopped- This hoppy citrus kombucha is an amazing summer beverage that is a must try for any beer lover. + Ginger Pomegranate - A delightful combination of tangy pomegranate and spicy ginger to create a perfect fusion of flavor. + Hibiscus Orange - The effervesce combination of hibiscus and soothing flavor of orange to create a unique combo of flavor. + Mango Papaya - A sweet combination of flavorful mangos and papayas to form an excellent tropical mix. + Spiced Cherry - The warming spices of cinnamon, cloves & nutmeg paired with the rich and tangy notes of black cherry. This kombucha goes great over ice cream to make an amazing kombucha float!